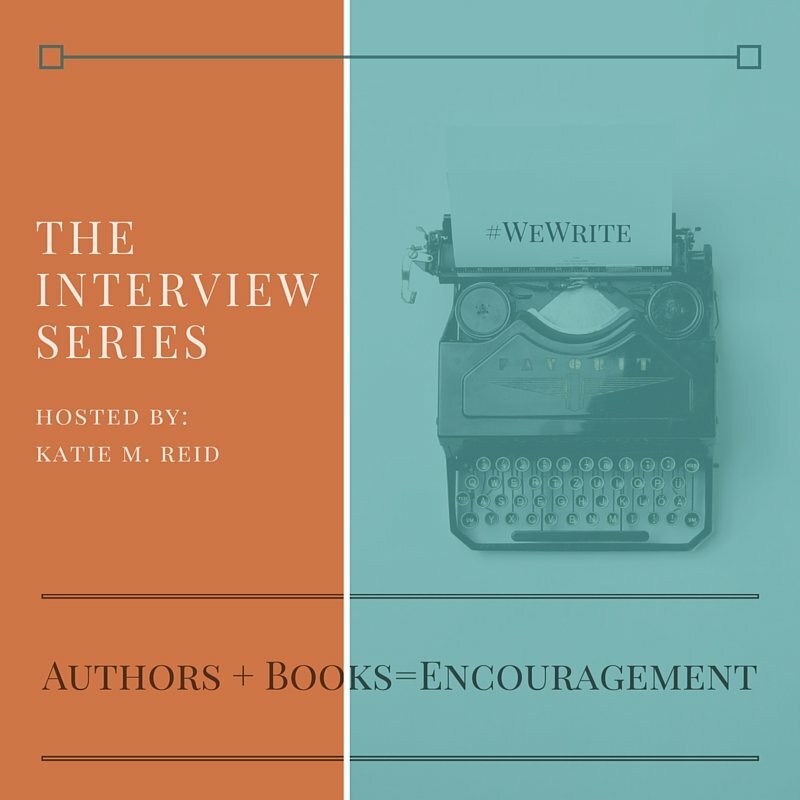 It’s time for another installment of the Interview Series. Let’s give a warm welcome to Shelly Templin, author of Pushing to the Peak. 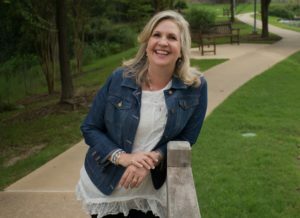 Shelly D. Templin is an author, speaker, and blogger that shares a message of hope – with humor. She has three daughters, a son-in-law, and a granddaughter. Shelly lives in Texas with her husband, Jack, of 29 years and their two dogs. Connect with Shelly on her website and Facebook. 1. 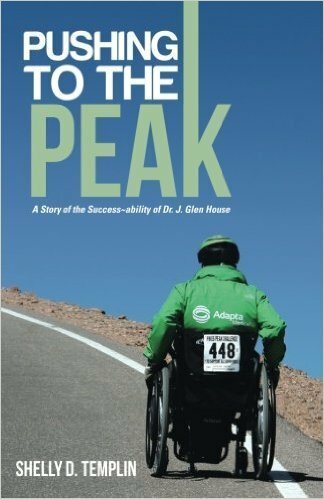 What was the hardest part about writing this book, Pushing to the Peak? I wrote the book within a year of my brother breaking his neck and becoming a quadriplegic so the emotions were still very high. I would sit at my computer and write and cry and write and cry. It was difficult but I think it allowed me to capture the emotions and feelings. Had I waited years to write the book, I think I would have missed that aspect of the story. 2. What has been one of the most enjoyable parts of the book writing process? The most enjoyable part for me is believing that by telling Glen’s story others might be encouraged in their struggles. Readers don’t have to have a broken neck to be encouraged by Glen’s story. We all have struggles of some sort and need encouragement and hope. 3. What is one of your favorite quotes or stories from Pushing to the Peak? Throughout the night, Glen’s oxygen saturation levels increased and remained steady. By 10:00 the next morning, the doctor took him off the ventilator. This was a major step and a great relief for all of us. After the tubes were removed from Glen’s throat, I approached his bed. I was stunned. No self-pity. No anger. No complaints. When Glen realized that most of the other patients on the floor had brain injuries, he told me how fortunate he was that he had his complete mental capacities. He was grateful to be alive. Imagine, a twenty-year-old quadriplegic calling himself “fortunate.” This attitude would serve him well in the days, months and years to come. 4. What is one of the most important things to keep in mind when telling someone else’s story? When telling someone else’s story, you have to remember it is their story. Glen read every word I wrote. I wanted to make sure that my recollection of his story was accurate and true. Even when I write blog posts, I filter what I write and how I say it by asking, “how would they feel reading this” or “how would people they know feel about them reading this.” When we tell someone else’s story, we need to be sure that we honor them. It is a fine line between my story and their story. That line must be walked very carefully. 5. How long did this book take (from the time you started writing until it was released)? I pitched the book to several publishers but they encouraged me to self-publish. They liked the story but questioned my “platform.” As I was investigating self-publishing, I realized I was missing an important chapter. I went ahead and signed with the publisher and then went to work on the final chapter. 6. Could you tell us a little bit about the self-publishing process and how you arrived at the decision to go that route? I met with several traditional publishers through the She Speaks Conference and they encouraged me to self-publish. Last year, I met only with agents. One of them loved the story and gave me personal contacts for two self-publishers she recommended. Connections through conferences and social media have helped a lot with the process. Checkout the #WeWrite page, under the Writing tab on my blog and be encouraged with more writing tips. Also, Shelly and I are both part of the FREE Writer’s Guide from blogger Jami Amerine, as part of Ladder to Rooftop! Head on over to access this valuable resource. *If you order Pushing to the Peak through the link provided in this post, my adoptive friends will receive a small commission at no additional cost to you. Great interview! What a wonderful gift to write your brother’s story to encourage others! Many blessings to you and your brother! Thanks for being here Beth and reading Shelly’s interview. Such an amazing story – true story! Glen is also fortunate to have such an amazing sister. The siblings are an inspiration. Thanks for cheering on Shelly and her family Coleen!